Bundaberg Rum is not the rum of England, it’s the rum of Australia. That’s the message in this anthem sung by iconic citizens of England to the tune of Jupiter, from the Planets Suite by Holst. 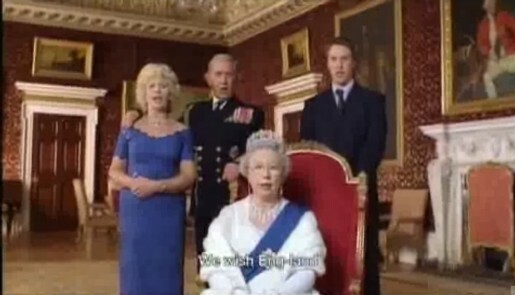 The commercial includes a wide range of British residents, including Queen Elizabeth and members of her household. The voiceover: “Bundy Rum. Made for one country for one country only.” The spot finishes with an appearance from Bundaberg’s mascot, Bundy Bear, playing a trick from the airport control tower. The greatest rum on earth. The Bundy anthem was developed at Leo Burnett, Sydney, by creative director Mark Collis, copywriter Stephen Coll, and agency producer Adrian Shapiro, account supervisor Sarah Palmer working with Diageo marketing manager Andy Gibson. Filming was directed by Guy Manwaring, via Therapy Films (now at Sonny London). The music from Jupiter is associated with Thaxted, a patriotic English hymn written by Cecil Spring-Rice in 1918, beginning “I vow to thee my country“. David Griner at AdFreak points out that Bundaberg Rum is owned by an British company, Diageo.